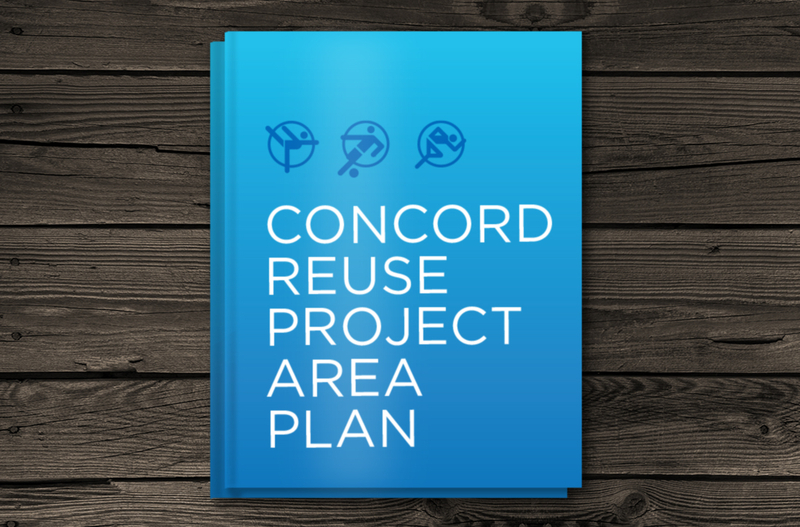 The City of Concord California implemented a Reuse Plan for the former Concord Naval Weapons Station and the resulting Inland Area. 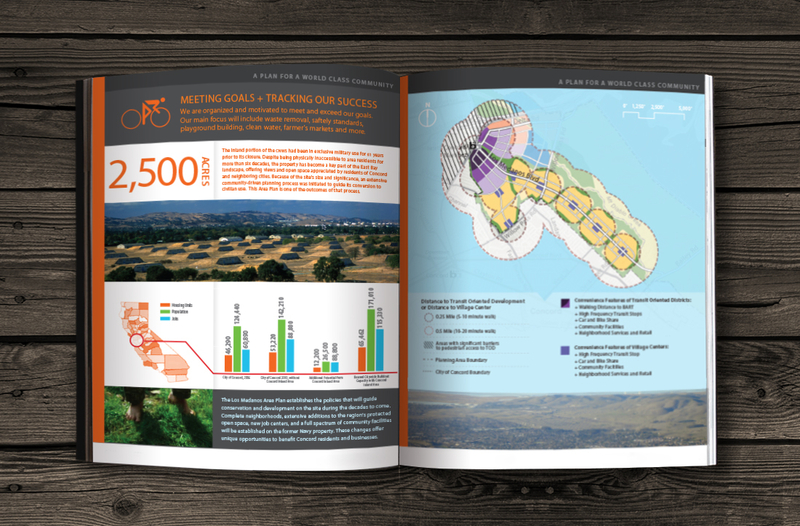 The plan addresses needs for residential and commercial development, while reserving approximately two-thirds of the remaining land for open space and park projects. 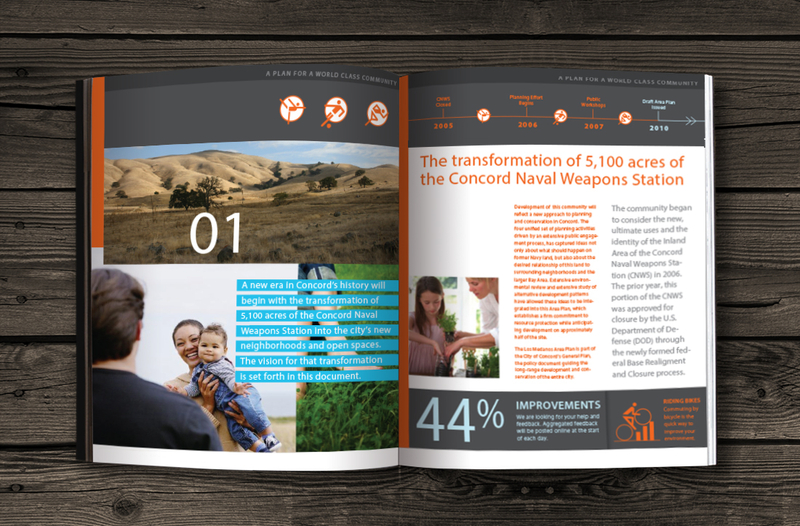 As part of the Arup team, Percolate collaborated with the City of Concord stakeholder group to articulate the brand of the public-facing document, which included visual design goals and attributes including the creation of drawings, infographics, illustrations, and iconography. The screens above represent inspiration for the page compositions, graphic styling, and illustration styles, many of which were were applied to the final publication.